Neon green monk parakeets have conquered trees and power lines in Brooklyn and Queens, New York, far from their native Argentina. It's not just an unusual tolerance for cold that puts these parrots right at home in New York City's outer boroughs: monk parakeets have rich social networks within their flocks. 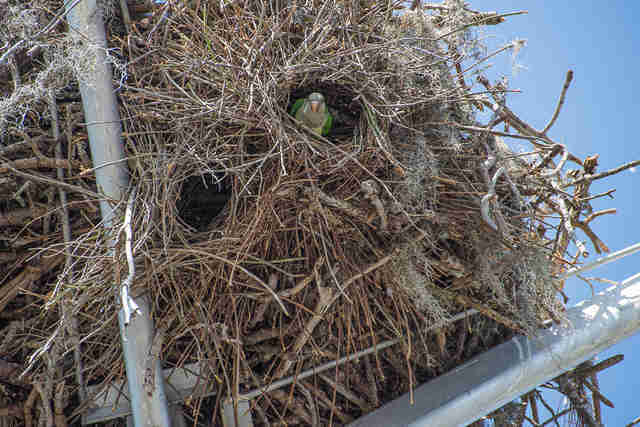 Biologists at the National Institute for Mathematical and Biological Synthesis monitored wild parrots in Argentina and a captive population in Florida to map out the monk parakeet social system. 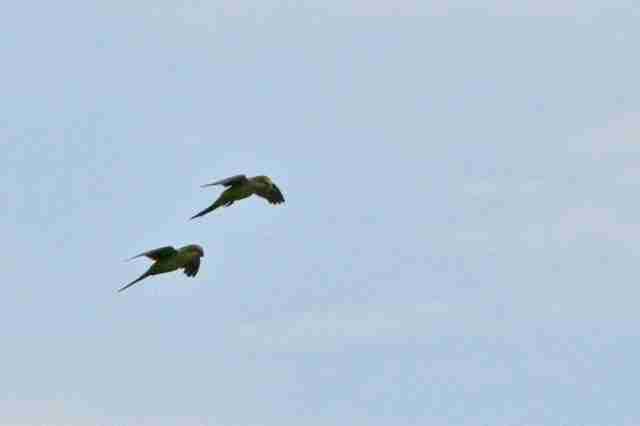 The pair-bond was one of the strongest interactions among birds, with wild parakeets rarely spotted flying far from a mate, according to the new report in the journal The Auk. 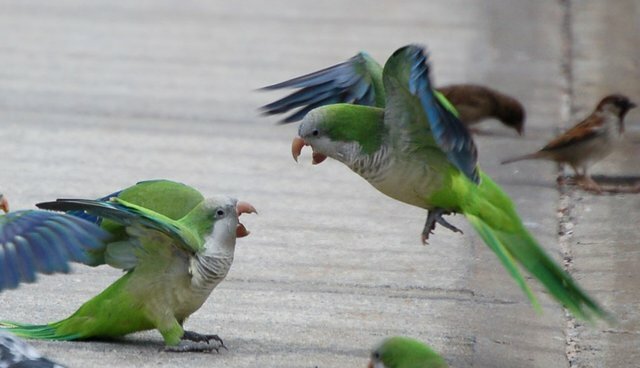 "Our recent results showed that parrots structure their relationships in several ways: Parrots can have positive social interactions, where they have a very strong association with just one individual in their group, usually several moderate associations and then a few weak associations," says Elizabeth Hobson, a parrot expert at the National Institute for Mathematical and Biological Synthesis, in a video statement. "In addition to these positive relationships, they can have negative social relationships that are structured by aggression." Unlike a hive of bees or a colony of ants, parakeet societies aren't built on blind cooperation, the scientists point out. Instead, there's a hierarchy similar to elephants or dolphins, replete with alliances among friends as well as competition. "Understanding the social systems of parrots is critical to understanding social processes, such as vocal learning and the spread of behaviors, and can also give us greater insight into how social and cognitive complexity evolved in other species," Hobson says. More than a quarter of the world's parrot species are threatened, and Hobson believes that more information on the way "parrots structure their social interactions could also improve our ability to manage these populations." But one thing's certain: the social birds in Brooklyn love to squawk - and won't shy away from using the tops of their parakeet lungs.